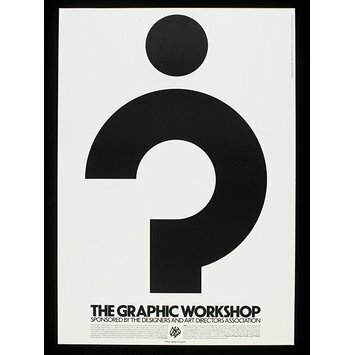 Poster on thick white card advertising the Graphic Workshop, with a redesigned question mark and black lettering. 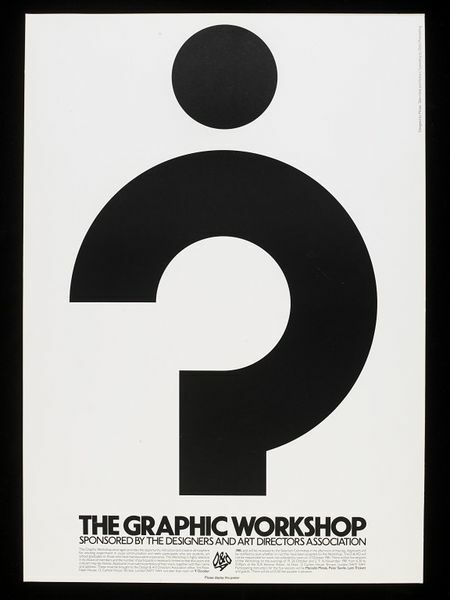 Poster on card promoting the Graphic Workshop sponsored by the Design and Art Direction Association, by Minale Tattersfield and Partners. Great Britain, 1981.